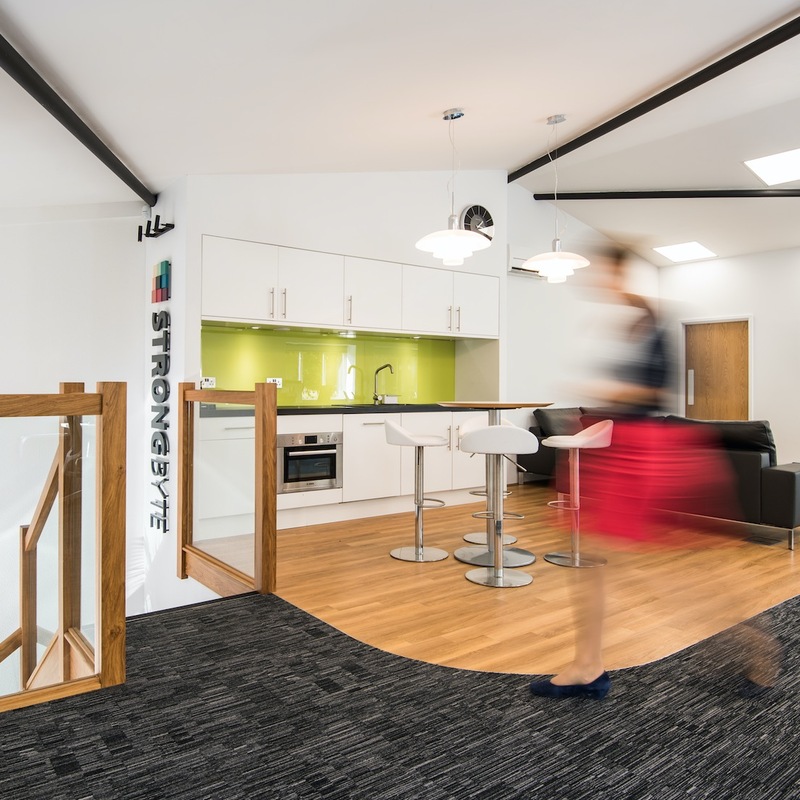 Further to rapid expansion, Strongbyte found a run down industrial unit in the Cotswolds and asked Business Interiors what could be done. Seeing beyond the existing layout and false ceiling from the 70’s, we realised the potential of opening the space both vertically as well as horizontally, taking the full height of the A frame roof into the main working area, creating a light airy environment that is a pleasure to work in. 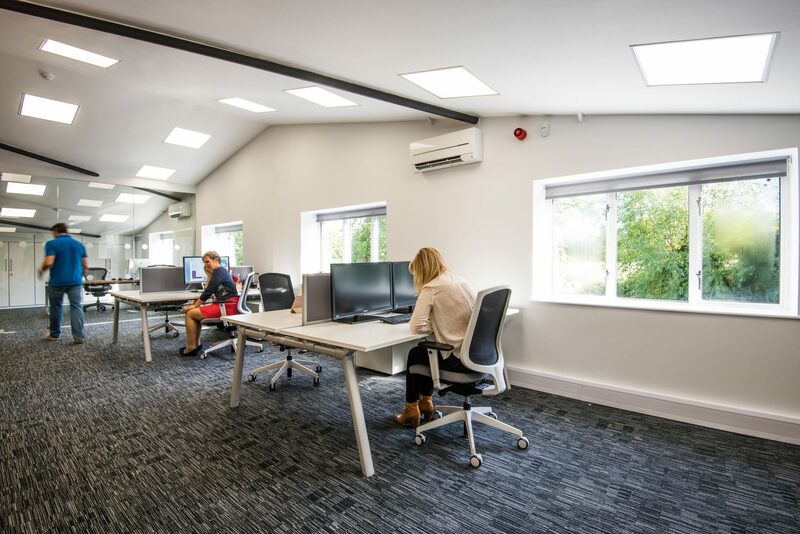 The stairwell was opened out using glass, leading up to an open plan office with the carpet and wood flooring separating the open plan working area from the breakout space, with a teapoint and a variety of meeting, collaborative and customer facing areas. 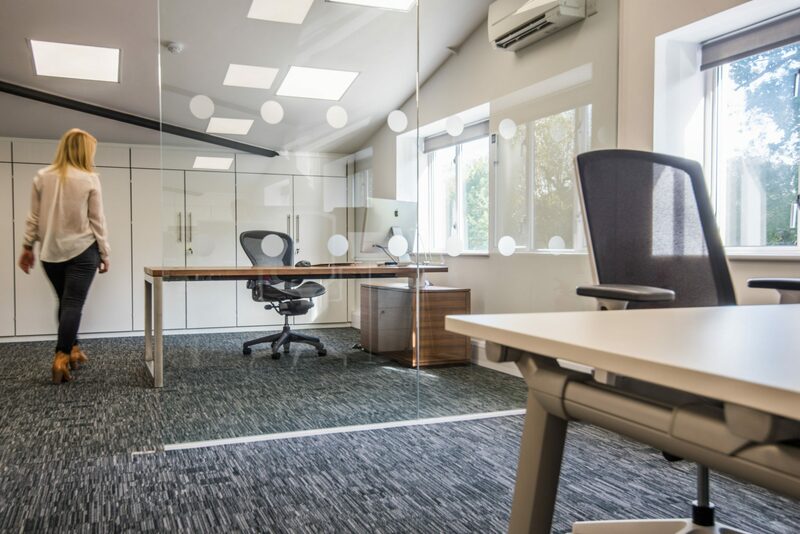 It is telling that clients always remark on the design and functionality of the space, having a very positive impact on staff well being and first impressions to visiting clients.